AMMAN, Jordan (AP) — The U.S. Embassy in Jordan is refuting Amman’s claim that American soldiers sparked a deadly shooting at a Jordan military base this month by disobeying orders from Jordanian soldiers. 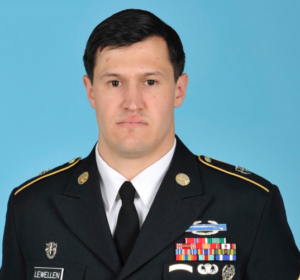 Three U.S. Army sergeants — Matthew Lewellen of Lawrence Kansas, Kevin McEnroe and James Moriarty from the 5th Special Forces Group (Airborne) from Fort Campbell, Kentucky — were killed in the shooting outside the base in southern Jordan. After the shooting, Jordan’s state media reported that the slain American trainers had sparked a firefight by disobeying direct orders from the Jordanians. Barbee told The Associated Press on Thursday that there’s “absolutely no credible evidence” for this claim.